After being named one of the region’s healthiest employers for two consecutive years, what did The Resource Center do for an encore? TRC won the award for the third straight year. The Resource Center recently was named the healthiest employer in Western New York among extra-large businesses (those employing more than 750 people) in Buffalo Business First magazine’s annual competition. The honor was announced during the Western New York’s Healthiest Employers Awards Luncheon at Buffalo Riverworks. Awards were given to the healthiest employer in four categories: small (businesses with 10 to 99 employees); medium (100-224 employees); large (225-749 employees); and extra large. 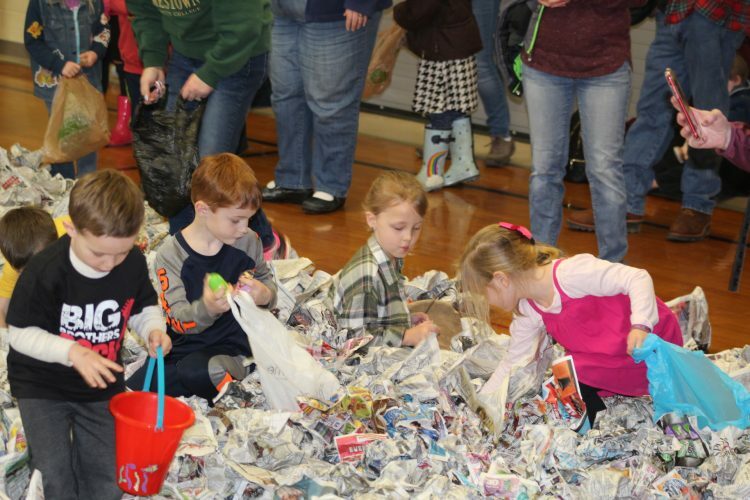 This marked the third straight year The Resource Center claimed the title in its division. TRC also was a finalist in 2015. As in past years, the key to TRC’s success in the Healthiest Employers competition was its STARS employee wellness program. 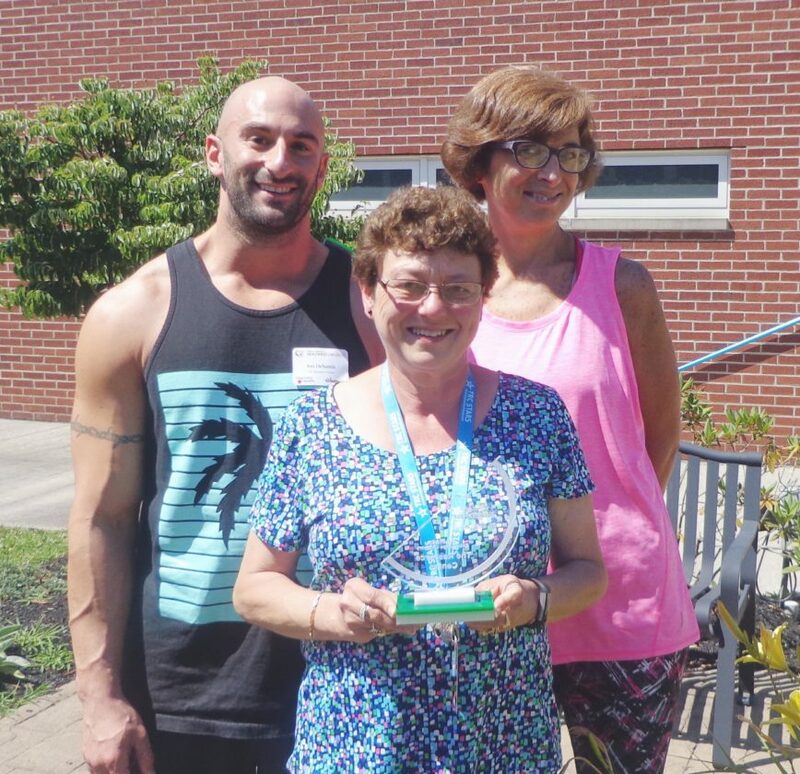 Those who operate the program — manager Donna Trusso and health coaches Heather Courtney and Jon DeSantis — traveled to Buffalo for the awards luncheon knowing TRC was a finalist but not knowing whether they would claim a title for the third straight year. “We were working with the mindset it would be a pretty steep hill to climb” to win the award this year, DeSantis said. And what was the STARS team’s reaction when The Resource Center was announced as the winner? “It was kind of shocking, because we weren’t expecting it at all,” Courtney said. “We have our own internal, full-time program dedicated to this; we’re not just contracting with an outside vendor. That’s what sets us apart,” said Trusso, explaining that while TRC’s wellness program is operated by people who are employees of the agency, other businesses rely on external resources to operate their wellness programs. TRC’s homegrown STARS wellness program has been operating since 2013. More than 200 employees currently are enrolled in the program, which features a personalized wellness plan based on a person’s self-reported satisfaction level along five life domains. STARS offers lunch-and-learn education and exercise get-togethers, discounts on health insurance premiums and programs such as Weight Watchers, and employees can participate in several group and individual challenges throughout the year. Through participation in those challenges and other activities, STARS enrollees earn incentive points that can be redeemed for prizes. STARS participants annually undergo a biometric blood analysis. While individual results are confidential and shared only with the employee, the STARS team receives a report summarizing the combined results of everyone who undergoes the testing. The data enables the STARS team to assess how well STARS enrollees are performing as a group, and the results help form the program’s goals for the following year. Based on the results of last year’s biometric screenings, the STARS team members decided that in 2018 they would focus on reducing the risk of heart disease and diabetes by helping people work on initiating or maintaining healthy habits with regard to weight management, exercise, nutrition, stress deduction and smoking cessation. ¯	The prevalence of diabetes among STARS enrollees went from 16 percent in 2015 to 13 percent in 2016 and 10 percent last year. ¯	The percentage of STARS members who smoke went from 22.7 percent in 2015 to 16.8 percent last year. ¯	The per-member/per-month health care costs for STARS members were 6.9 percent lower than for TRC employees who are not enrolled in STARS. In addition, other TRC employees have shown interest in the program. Though only employees who participate in TRC’s health plan are eligible to enroll in STARS, The Resource Center decided to allow all employees to be able to undergo health coaching with Courtney and DeSantis. That decision has proved to be popular, so much so that TRC’s union members wanted assurances that access to STARS health coaching was included in their contract for the coming year. While many TRC employees have taken advantage of the opportunities that STARS affords to improve their lives, the wellness team members have also been working to improve themselves. Trusso earned certification as a corporate wellness specialist, while Courtney and DeSantis have completed the requirements to become certified wellness coaches. They’ve also become certified facilitators of chronic disease and pain self-management programs and the National Diabetes Prevention Program. Additionally, the three wellness experts have bolstered STARS’ reputation through their collaborations with other community entities and initiatives. These include being a Premier Blood Partner for the American Red Cross by virtue of the successful blood drives the STARS team has conducted at The Resource Center. Additional collaborations include CHQ250 (a county-wide initiative that emphasizes healthy behaviors aimed at reducing the number of heart attacks and strokes in Chautauqua County) and the Chautauqua Health Action Team (CHAT), which meets quarterly to discuss strategies to promote health and wellness in Chautauqua County. The members of the STARS team are pleased with the positive changes they’ve seen among TRC employees seeking to improve their health. Those changes include staff getting in some exercise walking during work breaks and choosing the healthier option when deciding what to eat. Trusso applauds those TRC employees who have taken steps to make positive changes in their lives. For those who may be considering making some life-style changes to improve their lives, she cautions that it can be difficult to commit to making changes, and it will take time to see results. She added that improved employee health also benefits the well-being of the people with disabilities who TRC supports. Having won Western New York’s Healthiest Employers competition for a third straight year, the STARS team is setting its sights on the national competition in September. Last year TRC was ranked the 19th healthiest workplace in America. The STARS team wants to continue to improve the health of The Resource Center’s employees. Immediate goals include making presentations among different employee groups at more of TRC’s 40-plus locations, so that staff members who might be unfamiliar with STARS can learn what the program has to offer. They would also like to see the annual biometric screenings be made available to all employees, not just those enrolled in STARS.